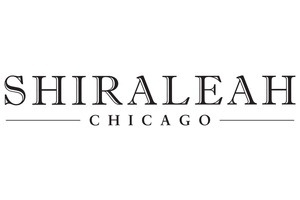 On Jan 22, Robert Hoffman and Jamie Johnson discuss how Robert's early passion for sustainability with a business focus has helped him take Shiraleah from a small import company in 2004 to an impactful brand in 2018. Shiraleah imports products from all over the world, with a focus on sustainably made products and socially responsible manufacturing. Jamie: Welcome back to episode nine of the Verde podcast. 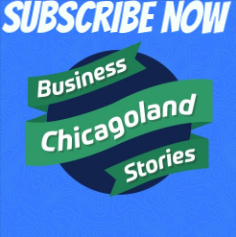 Every week we talk to local business leaders and entrepreneurs to understand the real story that doesn't make it to the spotlight but is how actual businesses are actually built here in Chicago. Today we have Robert Hoffman who is the president and CEO of Sheralea. Welcome Robert. Robert: Thank you Jamie for having me. Jamie: Glad to have you. Robert, give me a little background about Sheralea I think you're kind of a unique story in how you took over the business and saw a vision and went after it, so tell us a little bit about that. Robert: Sure. I think you mentioned you've interviewed a lot of founder. I'm not a founder of this business. I actually bought the company 14 years ago, but it was such a small company when I took over, and we've changed the business so much, I do feel like it's my baby. I do feel like I started this business from where it was and I've taken it to another level. My background is not entrepreneurial. I worked in consulting for about a decade, and I went to business school and during that time looked at a lot of different things and realized what I loved was running businesses. So I sought out to find a business I could buy. I was 29 years old, and you'd be amazed at how few businesses there are that a 29 year old can buy. Jamie: Where did you go look for them? Did you literally look in the Sunday section for businesses for sale, or did you put a flier out? Robert: It was a lot of networking. There is, and i didn't even know this before I started looking at businesses to buy, there's a whole business broker network out there. You reach out to business brokers, and the wonderful thing about email they don't know you're 29 years old. They don't know how little cash you have in the bank to actually buy that company. So I started looking at businesses. This was the third company I started digging in from a due diligence standpoint, but the only company where we came to this is a good fit, here's the offer. This was a unique opportunity. This one didn't come from a business broker. I knew someone at the time I was volunteering at an old age home. I was sitting on their board, and I met a gentleman on the board who was a serial entrepreneur. He'd bought and sold a lot of businesses and he'd heard about this business Sheralea. At the time it was Shera, one word, Lea, another word, imports. It was started by a quirky guy who had started a lot of businesses. He was really smart and really disorganized. His name was David. David had the unique ability to start any businesses and bankrupt that same business. This was the one that seemed to take a better footing. He had actually gone to Yale. Very smart guy. Studied forestry. Had a business chopping firewood and delivering it to people in Chicago. Had a lot of businesses over the years. He was a hippy. He traveled the world, and he fell in love with Vietnamese handy crafts. So he started importing Vietnamese handy crafts. I feel lik I could spend half this podcast talking about David. He was a character. I still talk to him by the way. We're still friendly. He saw the unique craftsmanship of these Vietnamese artisans, and started importing small LCL shipments, that's a less than container load shipment, of lacquer ware bamboo, products from Vietnam, and he would go to trade shows. He had three people. He had one salesperson and one warehouse guy working for him. He would go to trade shows and he would literally, I'm not kidding, this is funny, sleep in the booth. That's how entrepreneurial he was. He would put a giant blanket over the table his products were on and put a pillow underneath, and he would sleep underneath that. Robert: Yeah, no one was stealing his stuff. And he just kind of built the business that way. Started bringing in more container loads. Then the business grew. When I took over he had been doing it right around the same amount of time I've been doing it now. I think we're in our 26th year of operating. I've owned it for 14 years. He had grown it, and it wasn't profitable. He didn't know how to operate a business, but he had a business. We took a trip together to Vietnam. I saw the opportunity. The other companies I was looking at were more traditional manufacturing companies. My consulting work was more in traditional manufacturing. My great uncle had a traditional manufacturing business in Milwaukee as well, and I found them to be very capitol intensive, I was worried these types of products were no longer going to be made reasonably in the United States. The fact they were making these products in other companies and they were importing them, I just thought there was opportunity for growth. And we ended up striking a deal. The deal actually had bene struck with somebody else, and that deal imploded like so many other deals do. I came in and I negotiated deal that worked more for me. It ended up working out really well for him as well. It was a five year contract where he stayed on board and helped me get the business off the ground, and he stayed on on the overseas part of the business, so I didn't have to travel overseas as much. That's kind of the history of how I took over Sheralea. Jamie: How many people and how much annual revenue when you bought it? If you don't mind sharing that. Robert: It was small. I'm trying to remember. Maybe $1 million, maybe less. Robert: I think he had with his warehouse guys maybe seven employees. Jamie: Okay, and how many employees now? Jamie: 50, wow. That's incredible growth. Jamie: In an international imports business. Robert: In an international import ... I do it. I do it. Jamie: How many times a year do you go now? Robert: Once. Yeah. Maybe twice depending on ... we now source from so many countries. Here's the thing. We'll go to Frankfurt next month for this large European trade show, and a lot of our vendors, we source from Spain, and Turkey, India, and China, and Portugal. A lot of them will actually be in this fair in Frankfurt. So I don't consider going to Europe to be overseas actually, even thought technically it is. I'm talking specifically to Asia. You'll learn soon enough eight hours is not a big deal on a flight. That 15, 16, 17 hour flight, that really catches up to you. Jamie: I actually did my first trip to China in November. Getting there I was fine, I think I was so excited, but the trip home I was pretty beat up for about a week and a half. I didn't notice so much I was tired, but my mood was off. No one wanted to be around me for like a week, my family included, so I could see how that would wear on you doing that multiple times a year. Robert: Right, I mean I love it. I love going to Asia and I love visiting factories, but you come to a certain size and you realize you can't do both sides of this business. You can't run an office overseas and run an office here. You can't be two places at once. As president and CEO of the company here, I made it my priority to focus on being here. That being said, we talk every week to my staff in Asia for multiple hours. It's not like we're not in communication. I can't imagine how when David first started they didn't even have email. I don't know how that even worked in the early stages of the business. Everything has gotten so much easier now. Jamie: Yeah, you had to say awake until 10:00 p.m. to make a phone call over there at 6:00 or something. Robert: I always do the morning. Robert: David was really significantly in Vietnam. Robert: Yeah, that was the thing with home, so again we could spend a lot of time on David, because he's got a lot of stories to tell, but he married a Vietnamese woman, so really only in the last couple years, I mean we severed ties from a business standpoint about eight years ago now, nine years maybe, only really recently was he able to bring her into the United States. So he owned a home with her in Vietnam, and he traveled there and lived there. Jamie: You said you changed some of the model or the business. What is different today than it was when you bought it? Robert: They were a traditional importer back then, meaning they would find product specifically from Vietnam in this case and they would then reseal that product here in the United Sates. That worked because he was one of the first people to be in Vietnam at that time. Vietnam has wonderful handy crafts, but they don't have, even to this day, the manufacturing capabilities of other countries. It's very cottagey. To make 100 in Vietnam takes 100 times as long as it takes to make 1, versus in China, or India, or Spain, or Turkey, or wherever, there's so many economies of sales, there's so much technology there, and they can make 10,000 in a very short amount of time. There was always growth issues working out of Vietnam. What we've done, we built a brand. We now design all of our own products. We're not just bringing in handy crafts. We're actually bringing our own designs under our own brand. I would say in 2017 5% of our business at most was from Vietnam, so we've kind of gotten away from that market. Jamie: This is a little bit off topic, but I just find myself thinking about it. When you bought this business you saw US manufacturing declining. Today do you feel there's a future for US manufacturing to increase, or is that a lost ... ? Robert: No, I mean there's room in certain sectors, but you have to be very good at a specific thing. I've had clients that were food manufacturing clients. They've done wonderfully over the years. When I was a consultant, companies that manufactured plastic injecting molding, some of them have done well, some have not done well, but they were a one trick pony. My vision was this. We have 3,000 different products, we're scaling from fashion accessories to gift products, to home décor. Our brand is kind of modern casual with an indie wanderer global feel, so if the product fits, whether it's a vase or a scarf, or a picture frame, we add it to our line. The world is our sourcing opportunity. We really can go to a lot of different direction with the product. That's why I love, that we're not limited by one thing. That to me would get old. Jamie: Right. Where do you mostly sell? Where are most of the products found? Robert: We sell to about 3,000 independent retailers, and probably about 100 larger retailers. When I say larger, we sell to Anthropology, and Nordstrom, and Macy's. More the department stores. Obviously the biggest growing contingent would be our online business. Currently we're 100% business to business. That model will be changing this year. That's a big change to our model as we finally bite the bullet and go B to C this year. Jamie: Is that via Amazon or a different outlet? Robert: We're building our own website right now. We have our own website, and we do a lot of business B to B that way, but we want to control our online portfolios. It will be selling on our website, it will be selling via our website, on Amazon, so we can control pricing on it, so we can control our image. There are a lot of people out there buying our products and reselling it in a lot of areas, but we want to control that model. We want to control the name that's being put out there, the pricing, the type of products. That's six months we've been working on this project, and knock on wood Valentine's Day we should be watching. Jamie: Most of my business experience is through lighting, which you know, and I don't get very excited thinking about distributors and different touch points of the distribution network, but I do always find direct to consumer interesting, and more exciting, and more opportunities that you can have control over it, which seems like it would work well for you. Robert: One of the underlying core beliefs I've always had in running this business, you can simplify it in one word, and that's hedging. I always want to hedge my business. I don't want to have one manufacturer overseas that makes a significant portion of our product. I don't want to have one client, and we don't have one client that's more than 5-7% of our business, so this is just another opportunity to hedge my business and spread out the opportunity to more clients. I understand it will be a learning process for us, because our average order right now to retailers is $1,000. Now we're talking about maybe $20-$30, so it means changing our customer service. It's changing our warehouse, and logistics. I actually had UPS in here, and we're renegotiating the contracts. We're a huge client of UPS. They have a whole trailer in here everyday, and the types of products and types of packages we're shipping out isn't the small, it's the larger boxes, so we need to renegotiate our entire contract based on this. We gotta change the way our brand ... How products are packaged in a brand perspective. Even our invoices and packing lists. Everything from the top down as to change a little bit as we go down this model. Three or four years ago retailers were very resistant to working with companies that were also selling direct, because they saw the wholesaler as competition. Now everyone's really doing it, and they understand they have to add their value by having a presence in their stores, and marketing their products. They appreciate the fact that we're going to market, and we're keeping prices like an MSRP pricing. We'll be supporting them on that. Robert: Right, and by the same token if they want to touch and feel the product, they can go on our site and they can find a local retailer and then buy it there as well, which is what we want to promote. Jamie: That's exciting. I look forward to seeing it. Jamie: Hopefully by Valentine's Day I can get my wife a present. Robert: Right, yeah. By Valentine's Day. What's the chances of that actually happening? Jamie: Well you seem like a pure operator who's pretty good at it, so I imagine if you get something going you'll probably get there. I wouldn't. I'd be a year and a half off, but I'd be talking about it all the time. Robert: Well we'll see. We set a timeline. One week we're behind, the next week we're ahead. I can never figure out what's going on with this project because there's so many moving pieces, but ... like the bibliography of every report you ever do. The last 10% takes 40% of the time. I hope it does well. Jamie: What are you favorite parts of running your business? You were talking earlier and you said there's 40% that you really love. What gets you out of bed in the morning the most excited to do? Robert: I love the fact that every day I do something different. That's really important to me. I would say I spend probably right now half my time on day to day operational things and half of my time on strategic things. We have a lot of bigger projects rolling out every year, and I try and oversee those projects. The day to day operational things are not the more exciting things. I just thought it was funny, ironic, that they were talking about Jeff Bezos, now they say the richest man in history. He's really, really tight with money. Did you read about this in [crosstalk 00:18:07] they were saying oh he doesn't just fund projects. He's very careful where he puts his money, and this and that, and I laughed, because they ran in an unprofitable way for 20 years, and they invest billions of dollars in infrastructure, and I think about how the fact that I have to be the double suspenders here a lot of the time as well, that you come up with these grand plans, but you're constantly having to reel back on things. It's fun to be the guy with the ideas, it's not fun to be the guy with the suspenders. And you have to do both. Sometimes you gotta reel yourself in. That's not fun either. Robert: I was thinking about this right when we started talking. When you go into a business, whether you're buying it or starting it, there is an inherent risk in doing that. Then you get a little bit situated and you have some staff, and it become easy to become risk averse. I don't want to lose this. I've got a pretty good gig going right now, paying my mortgage and this and that. My staff is great, and I don't want to mess anything up. But you have to take those risks. And they're calculated risks, and that's great. Robert: 10 years ago $10,000 seemed like a lot of money to invest in anything. Robert: I do. I really do. Jamie: I talk to people about it, and they try to dig and try to understand. I don't think I have a good reason why. It's not financially motivated for me. I mean ... I've already got more money ... I'm not wealthy by any stretch. I've driven the same car for nine years. I'm not going to change that part of my life, but I'm driven to grow the company and I don't quite understand that. Robert: That's human nature. People are just born that way. It's very possible with you, because I feel this a little bit with me, my drive to grow the company is because you don't want to be doing the same thing every day, and when a business becomes stagnant, or stable, or flat, or whatever you want to call it, you end up doing a lot of the same things over and over and over again. Someone said to me, and I'm sure you've head this, if you're not growing you're dying. I don't necessarily agree with that, but I do feel the fun part is about trying to figure out creative ways to grow the business. Jamie: I totally agree. I also think it's hard if you see a vision for opportunity and you're not taking it, it's painful. I strongly feel solar is going to be a much larger part of our conversation in Illinois in particular in the next five years, and everyday I do a little bit of this risk averse waiting, and it tears me up inside. I want to dig into it. Robert: What's holding you from just going down that path? Jamie: I just think there's so much growth right now in what we're currently doing that to deviate out too soon would take away from that. Robert: I understand. It's focus. Robert: Yeah, it's easy as an owner to become unfocused. Jamie: It is, it is. Robert: It really is. And your role becomes a little bit different as the business grows, and I think you'll find that. When you had ... how many employees do you have now? Robert: So you have 24 employees now. Running a business with 6 employees, or 12 employees, or 18 employees, your role as the CEO changes dramatically. Sometimes you just have to step back and say this is not the business, what I was doing before isn't working now, and just kind of change ... the problems become bigger, but the opportunities become greater too. Jamie: I agree. Cindy who we both know actually told me once every time you double in size, every process you have breaks and has to get redone. How many times have you double in growth in the 14 years? Robert: Oh my god, a lot. I'd have to figure out the math, but a lot. Robert: Oh yeah. The way technology changes. We have a legacy ERP system that manages all our backend stuff, and we haven't changed the actually name of the ERP system in 14 years, but what we use it for today versus what we used it for 14 years ago, it's totally different. Jamie: What's the most challenging time you recall at Sheralea? Robert: I knew you were going to ask me that. For me the most challenging time was when my father got sick and when he died. That was very hard because for one thing it was very time consuming, both emotionally time consuming, being there, spending the time with him. Jamie: What year was that? Robert: He passed in November of 2014, so a little over three years ago now. But he had been sick for a while before then, and then it got worse as it often does with cancer, and that was hard for me, because he was a big sounding block for me in terms of ideas, someone who always encouraged me to do what I wanted to do. He was very bright, he was very talented in the legal profession, which was what he was. He was really at the pinnacle of that. It would have been very easy for me doing management consulting, going to business school, to just kind of go down a path that most people go down, and that is management consulting, investment banking, or private equity. And all those things held an interest for me, but it was really him who said to me you want to run a business, you should try it. I was in my 20s when I bought this company, and I kind of think that was kind of crazy in hindsight. What was I thinking? To put the capital I had put aside, all of it pretty much, into buying a company, taking on, it was a leverage buyout. Taking on debt. Newly married. Wanting to have kids in the short run, which we did. It all kind of paid off. I think it was his encouragement. When he became sick, it made me kind of reassess things, and also I think just muddied my general thinking as well for a while, because it was just kind of hard for me to come to terms with his mortality, because I think that makes everyone think about their own mortality as well. I would say really only in the last 6-12 months have I started to have more clarity about that. Took some time. I would say for the first time in ... 2014 actually was a phenomenal year. 2015 we didn't really grow that much, and I know that was because I wasn't really focused that much on the business as I have before. Yes I was showing up everyday, yes I was physically present, but the focus wasn't there. I think with any small business, the culture, the mentality of the owner or the president, pervades everyone else here. If you're excited about things, if you have that really, really strong opinion of things and that conviction is there in what you want to do, it drives everything forward. I didn't have that for a period of time, and it affected my business. Jamie: I would have to say one of the surprising things about owning a business is that your personal mood and really how you define yourself is so wrapped up in how your business is doing, because it consumes so much of your thoughts. I haven't had any real challenges. I guess it's been eight years. I've had the birth of a couple children, and so that can be exciting and really elevate. I've had marriage problems like everyone else. I do think the day to day stuff, you bring it in, and it affects both ways, positively and negatively, and you take it home and you bring it into work. It's not something I expected. Robert: I mean we are the bedrock of the company. If we're not the one being the sounding board for everyone else, sometimes things kind of fall apart. I don't show up everyday thinking today is going to be a great day. I show up everyday feeling like today is going to be a day with the opportunity to be a great day. Hopefully nothing goes wrong during that day. I consider myself personally to be a very even keeled person. I don't get too up, I don't get too down. I like to show up early in the morning and be the first one in the office, and kind of set that baseline for everyone else. But yeah I mean you have to be affected by the way the business is doing. You get a big contract and you're feeling really good. Maybe you'll take your wife out to dinner that night some place a little bit nicer. Than all of a sudden that contract, you put everything in, and the guy decides not to pay you on time, and all of a sudden you're picking up Mcdonalds. Jamie: Back to Ramen soup at home. The last question, and I've been excited to talk to you about this because I know your background actually comes in sustainability. I always like to ask everyone, tell me about your experience in making sustainability a priority in your business. How does it affect your planning? Why do you do it? I know you personally do put some time and effort into sustainability. Why do you do that? Why do you think it's important? Also what are some of the benefits you see? Robert: Kind of back up a little bit. You said you have a background in sustainability. What does that mean? It means in undergrad at the University of Michigan I studied environmental policy and behavior, that was a big focus, and I have a degree in science. I kind of always felt that ... in fact when I applied to business school my essay was that I want to one day run a business that's socially responsible. Believe it or not. I was shocked University of Chicago let me in. Jamie: You ended up on the wrong way of the midway. Should've gone to policy school with me. Robert: I probably should've. Early on we put a really focus on socially sustainable, environmentally friendly products. As we have grown, we've kind of continued on that but we've changed our brand away from that. But it's always in the back of our mind with any products that we take on. It has to have an environmental, a social, or a sustainable aspect of it. People appreciate that. Everyone loves a story, whether it's 100% recycled glass from Spain, or handbags we bring in from Vietnam where we give a portion of that back to the actual village and the children in that village. Children are not the manufacturing by the way, they're just in the village. Trying to give them a higher quality of life. Then sustainability as well. I don't want to drone on about the importance of it, but I feel we have to take responsibility for this. I truly feel if we don't do it, it's a mistake we're going to be paying for, and our children will be paying for, and our grandchildren will be paying for. It's a big part of what we do. We don't sell leather products for instance, because the tanning process can be very environmentally hazardous. We do sell polyurethane products. Why is that important over say a PVC product? Polyurethane we test is and we make sure it's all what's called Prop 65, which is a California environmental statue compliant. It has almost no lead content in it. All of our fashion products as tested. It's an additional expense, but it's something that we believe in and we're willing to have that expense be paid to make sure it's compliant so that we're not harming people with the products that we sell. Jamie: Do you market that a lot? Is that very evident in the products when people buy them? Or is it just part of the brand awareness overall? Robert: It's part of the brand awareness. We could probably be doing a better job of that. In terms of marketing that, the people who have been buying from us for a long time know it, meaning the retailers, but maybe not the consumers. Jamie: What's interesting, I remember an article, and I'll try to link to it in this podcast, but it was a Harvard Business Review I believe of countries that have corporate sustainability in place in the 2000s outperformed their peers that didn't. I don't think that's because green marketing and all the people read the social sustainability report and decide to buy the stock and push it up or decided to buy the products. I think it's because people that get that and put thought and time into running something obviously run their business well. Robert: Yeah, I think people want to be part of something that's bigger than just themselves. Robert: I think I read the article, and in think that was kind of the core takeaway from it. People don't want to just show up to a job. They want to be part of something that engenders some sort of feeling that's just meaningful for them. We have here four committees, and everyone in the office has to be a member of one of these four committees. We have a social committee, because we want to have fun. We have a cause committee, because we want to be passionate. We have a charitable committee because we want to give back, and we have an aesthetics committee because we want to work in a place that we want to show up to everyday. Being part of these groups makes people feel here that they're a part of something. Jamie: I think especially with the millennial generation that's really important. Jamie: Yeah, it's a growing part of our workforce for sure. Jamie: But we're both in ... I remember a McDonald's franchise owner once complaining about it, and I could see it's challenging age group for them, because non people wake up motivated to work in that industry, in the fast food industry, but there are a lot of millennials that care about sustainability or energy efficiency, and a lot of them probably have a lot of passion around the fashion products that you, you know. So if you can find those right employees, I'm certain we both will benefit from being in the right segment at the right time. Robert: I think you're right. I think you're right. I mean, we don't struggle to find good people. We don't struggle to keep good people. Jamie: I agree. It doesn't mean it's not easy to find people, but it's still hard to make decision and to know when to hire, but yeah we don't have employee turnovers the way I hear other careers. Robert: No we don't either. We really try and treat people well. Jamie: Yeah. Well Robert, I'm glad to catch up. It was great to hear more. I've known a lot about your business and been very impressed for many years, so it's great to hear more of the background, and maybe the next podcast we'll bring David in and talk to him. Robert: Thank you so much for having me. Scheduling your free energy efficiency assessment takes just mere minutes of your time and you can do it online! Click below to start the proccess and start saving.